After the long journey, finally I reached this small and peaceful home. I and the others have a comfortable life here and our job was also easy, just helping the owner pin up their clothes whenever they want it. if we don’t have anything to do, we will chat and joking as long as we want. 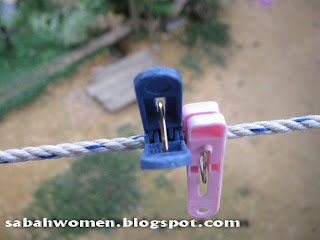 One day, while hanging on the hanger the owner came and put lots of new cloth pegs. At first, I didn’t take it seriously because for me it’s a normal thing to do. 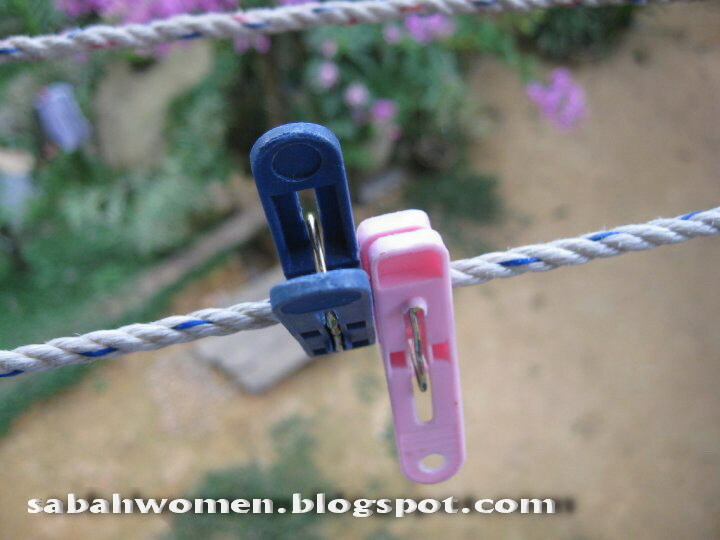 Furthermore, some of the wooden cloth pegs already worn out. Suddenly, something caught my attention. I was like OMG, the new pink cloth pegs was drop dead beautiful. And without a warning, I am falling in love at the first sight. Seriously! Me : You are new here. What’s your name? Me : Really?? (I am not blushing okay). Nice to meet you too, why are you afraid?? So the conversation goes on and on. We chat whenever we can. Things get better each and everyday but one thing never change. She still lives at the next hanger. I prayed very hard that someday we will hang next to each other. One night, the owner brings a lot of cloths to pin up. She was very busy doing her chores and the next thing I know Pink was being transfer next to me. I was so shocked! Seriously??!! neber thought that cloth pegs are as cute as you mentioned. 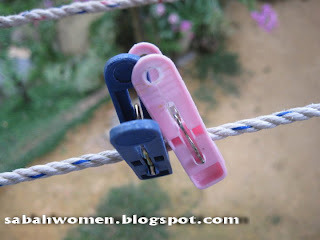 skrg desing cloth pegs pon dah awesome, bentuk playar pon dah ada. ok, i know, gua off topic. Haha. idea ni datang tiba2 time tengah renung2 pics ni, i said to myself why not i write something.